Finally, an affordable Korean skincare product! Brightening is all about radiance or the absence of an ashy cast in one's complexion. It's no wonder majority of K-beauty products possess glow-boosting ingredients like bearberry, Vitamin C, and arbutin. 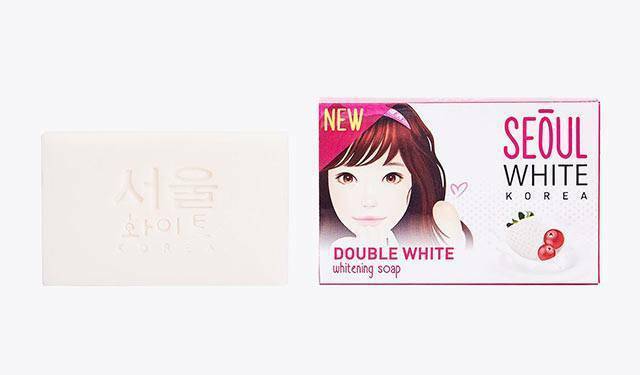 So when we found out about Seoul White Korea's *affordable* soap that promises bright smooth skin, we knew we just had to have a Cosmo Girl put it to test! When I get stressed, I am aware that my complexion becomes dull, so adding a brightening product to my skincare routine would help me tons! The soap has a powerhouse of brightening ingredients: Kojic Acid, bearberry, and white strawberry, so I had high expectations. I noticed that its lather felt tingly when I massaged it on my face. It also had a fresh scent, which I liked. After every wash, my skin looked a little bit brighter from how was it before. And I am pretty sure that the dewy glow I now possess is from my daily use of Seoul White's soap. Also, it's only P49 a bar—the price tag is budget-friendly! What's not to love? Seoul White Korea Double White Whitening Bar Soap, P49/60G is available in Watsons, Mercury Drug, Puregold, Robinsons Supermarket, and www.seoulwhitekorea.com.